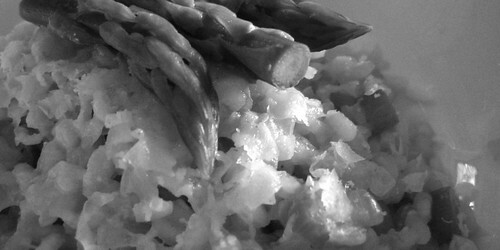 Posted on February 8, 2005 by Christine D.	This entry was posted in Photography, Savoury and tagged Food, foodporn, meal, Recipe, recipe:course=Main, recipe:ingredient=Asparagus, recipe:ingredient=Lemon, recipe:ingredient=Rice, risotto. Bookmark the permalink. ← The pain! The agony!